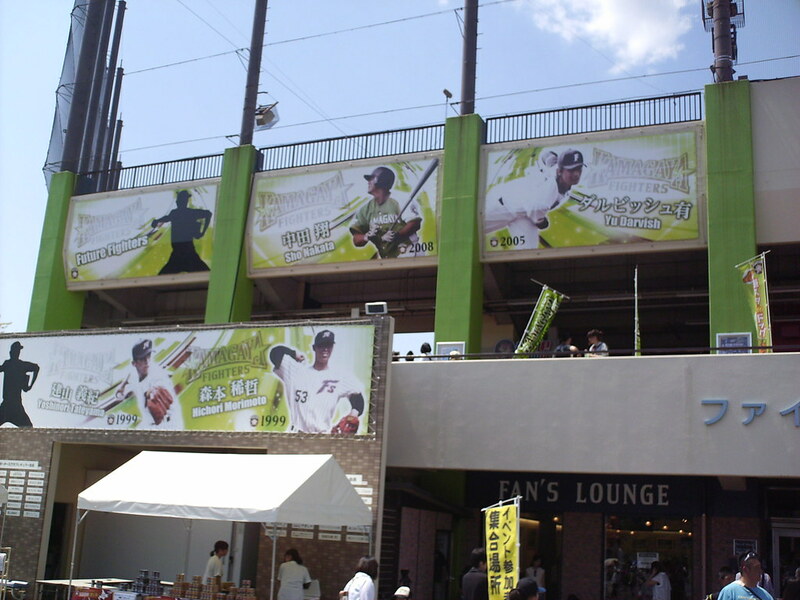 Banners on the outside of Fighters Stadium celebrate former players who played in Kamagaya who made the big leagues in Japan, including MLB star Yu Darvish. 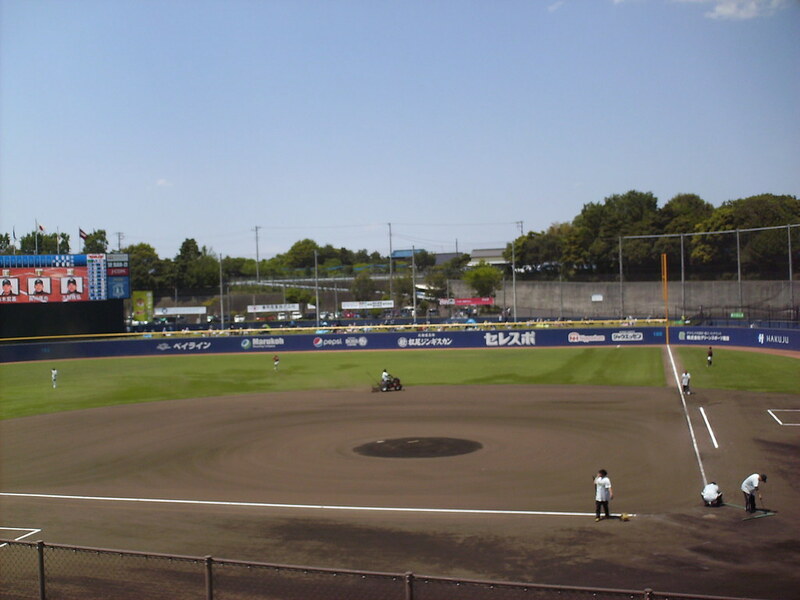 The view from behind home plate at Fighters Stadium. 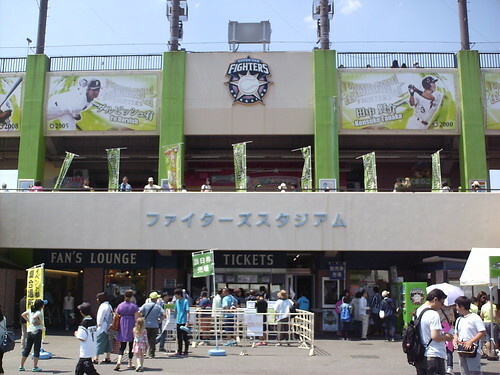 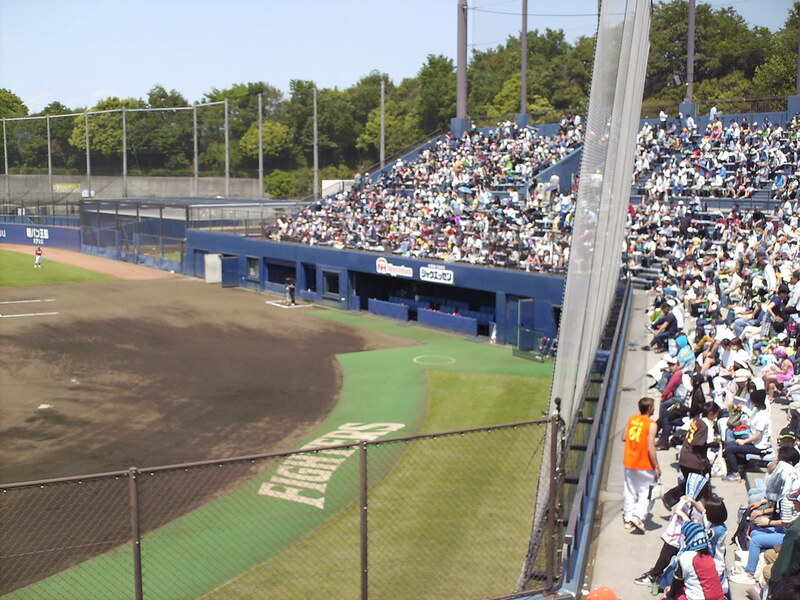 The grandstand at Fighters Stadium Kamagaya, as seen from the left field corner. 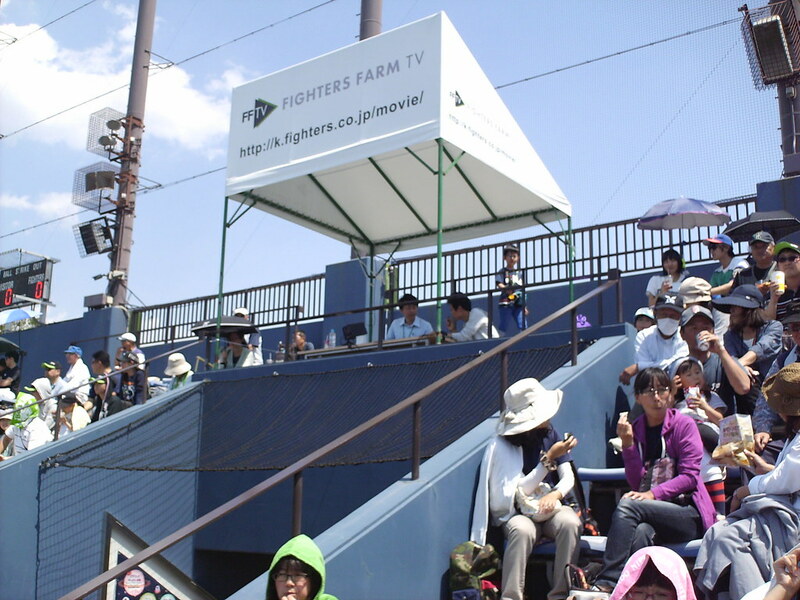 A small canopy covered pressbox sits at the top of the grandstand on the third base side of the field. 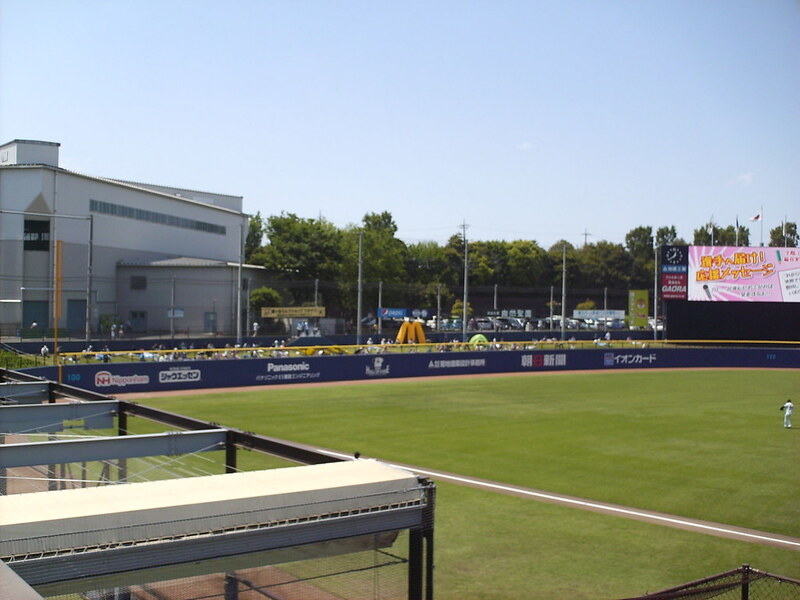 A camera stand and small auxiliary scoreboard sits at the top of the seating bowl directly behind home plate. 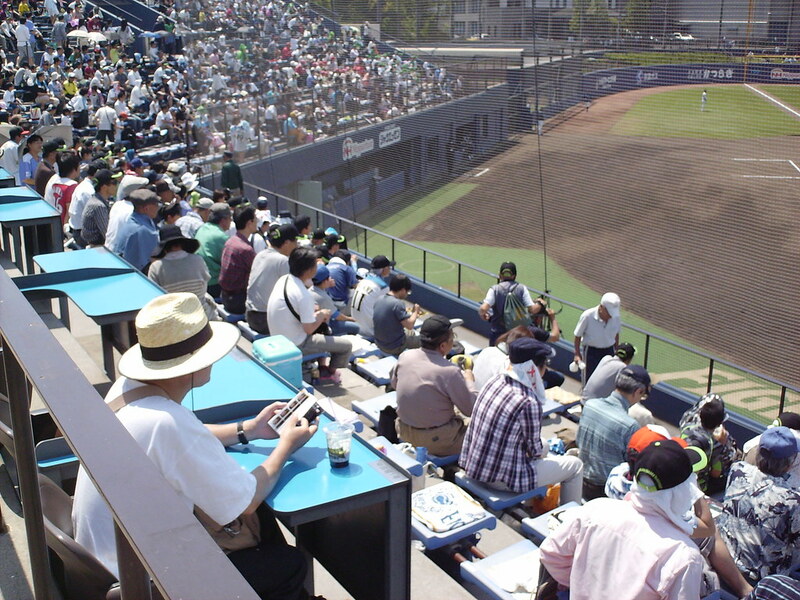 Box seats, with desks for food and drink sit behind home plate. 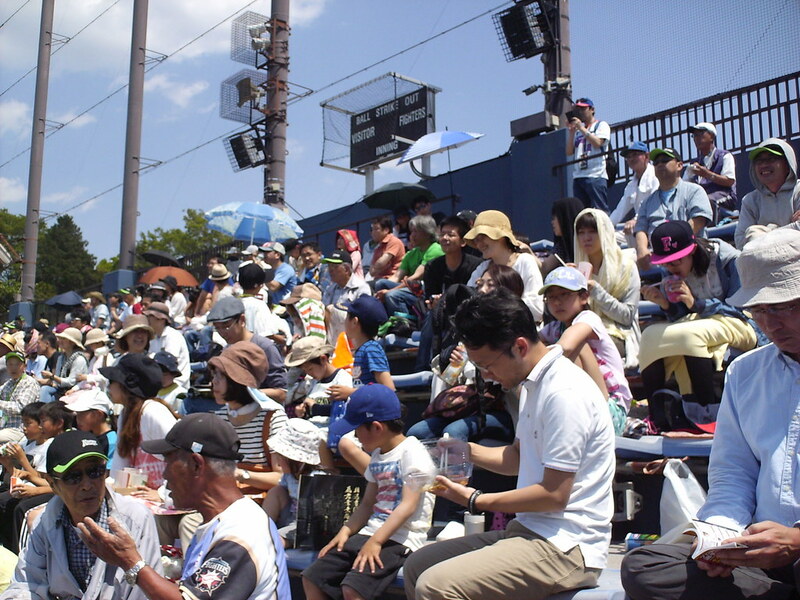 All other seating is molded plastic bleachers. 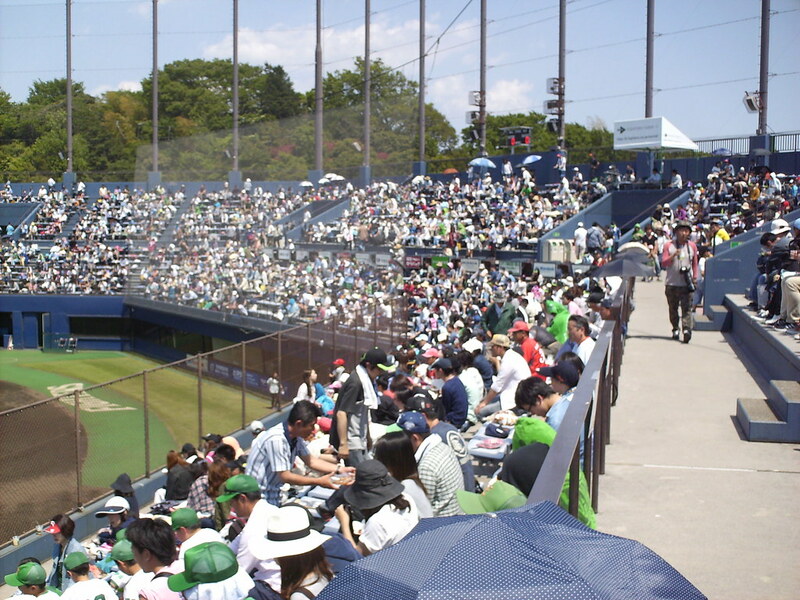 Grass berm seating wraps around the outfield wall. 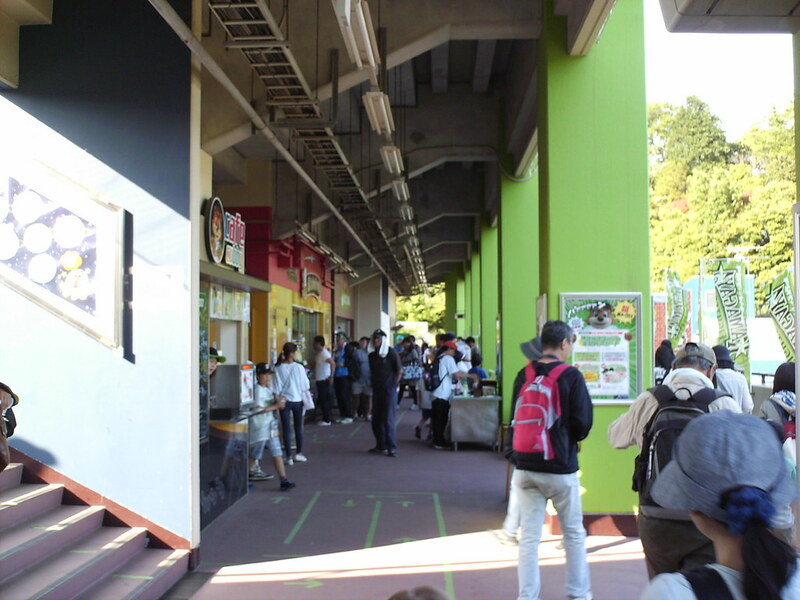 The concourse, underneath the main grandstand. 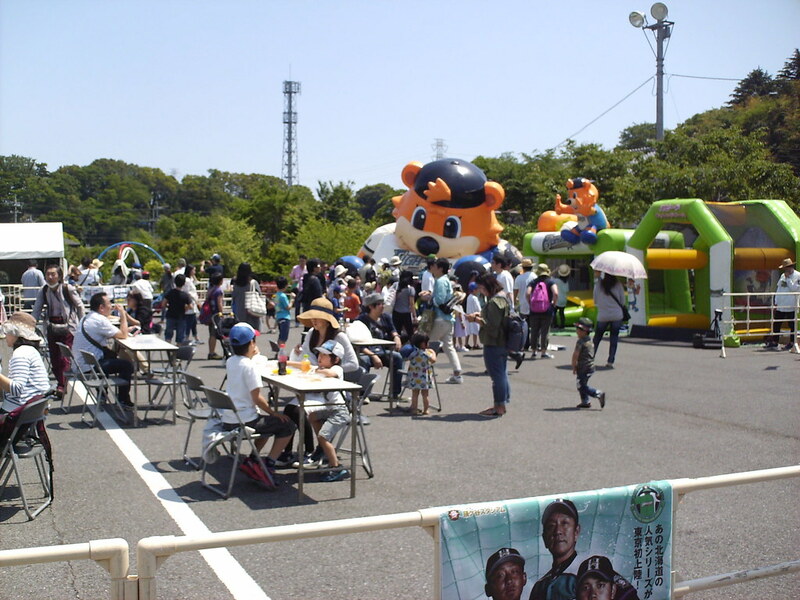 A food court and children's play area is set up on the paved courtyard in front of the main gate. 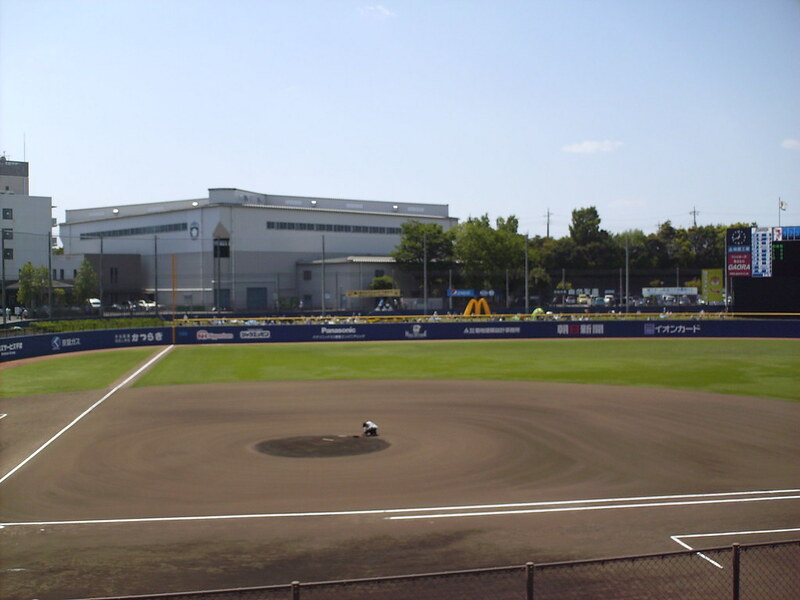 A large building beyond the left field wall houses the Hokkaido Nippon Ham Fighters dormitories and training facilities. 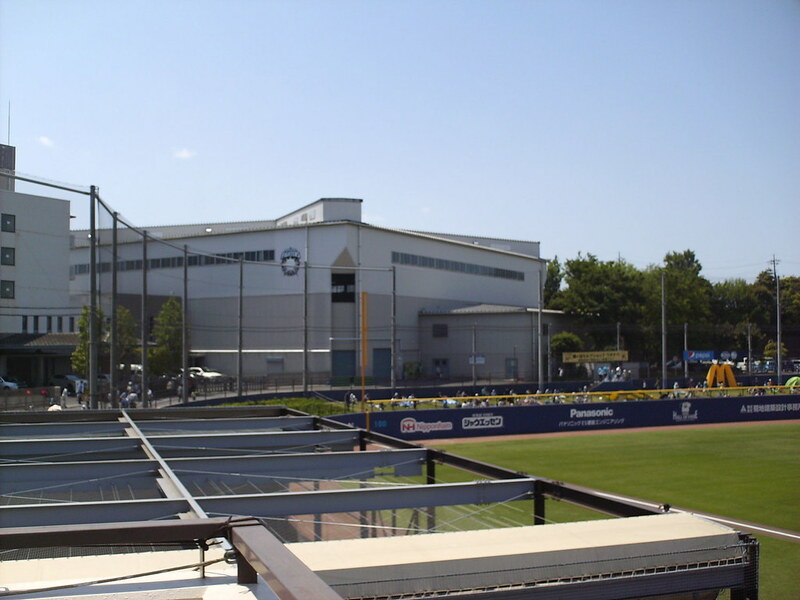 Covered bullpens sit next to the grandstand in the outfield foul territory. 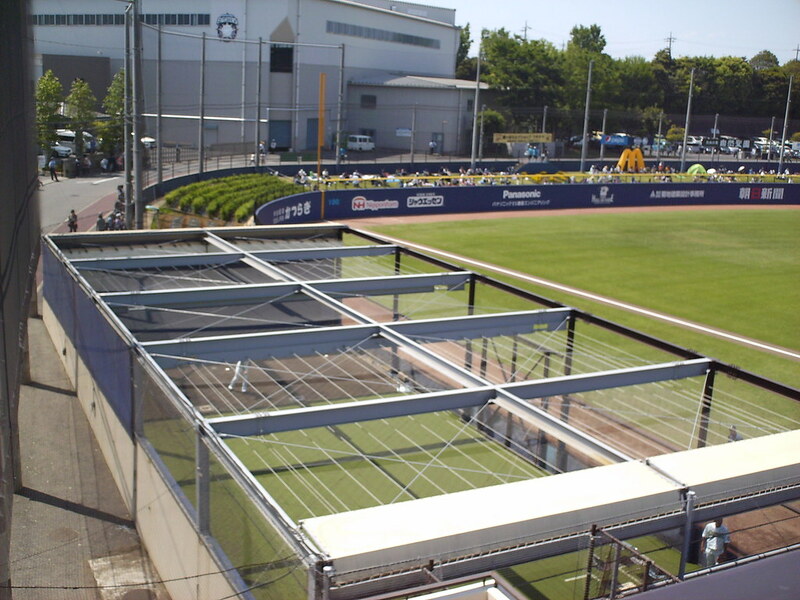 The dugouts sit at ground level, with the seating bowl raised above them. 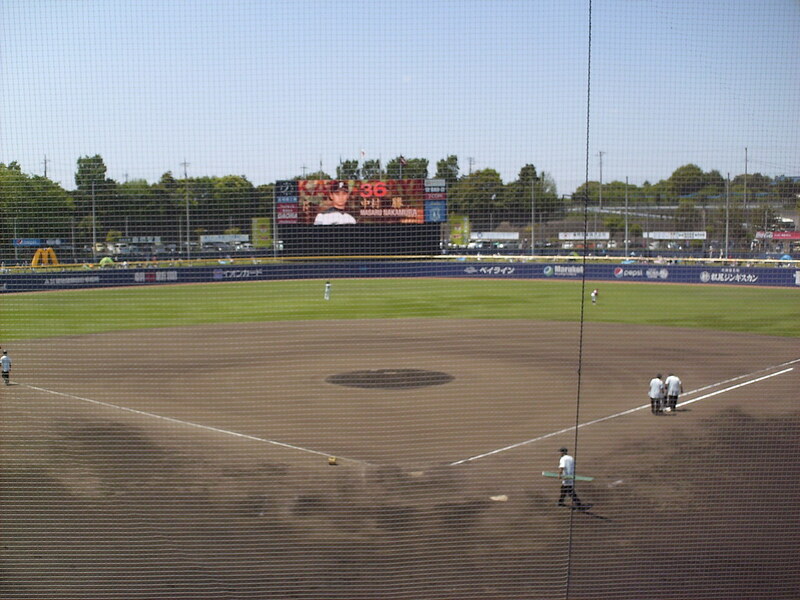 The infield at Fighters Stadium is entirely dirt, with a natural grass outfield. 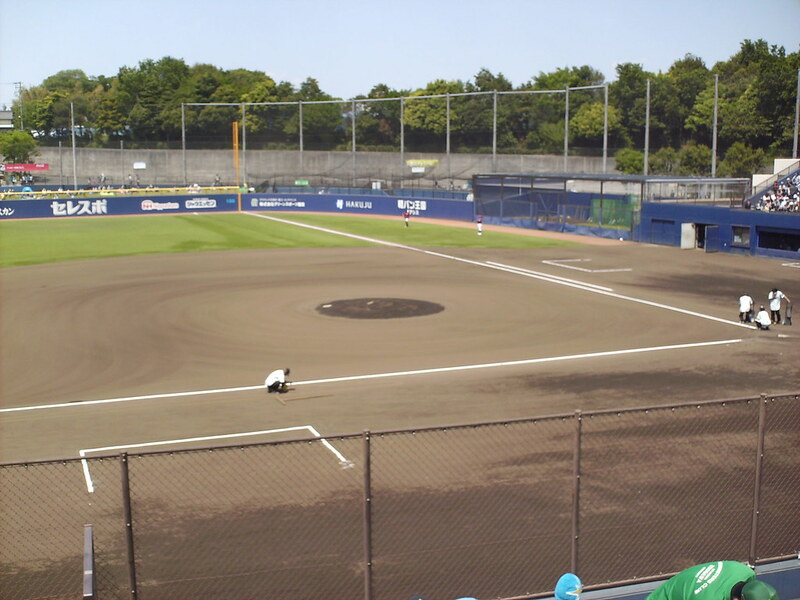 Dirt cutouts continue the entire length of the foul lines. 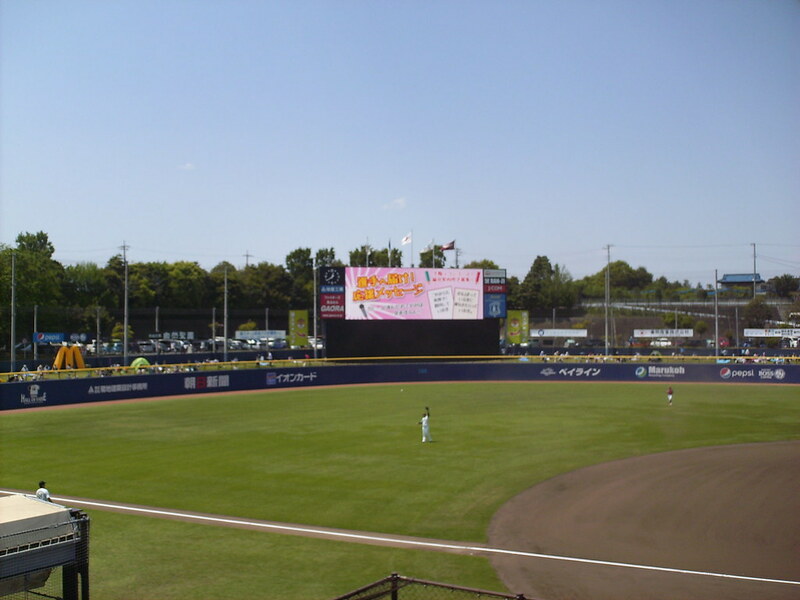 The scoreboard beyond the center field wall. 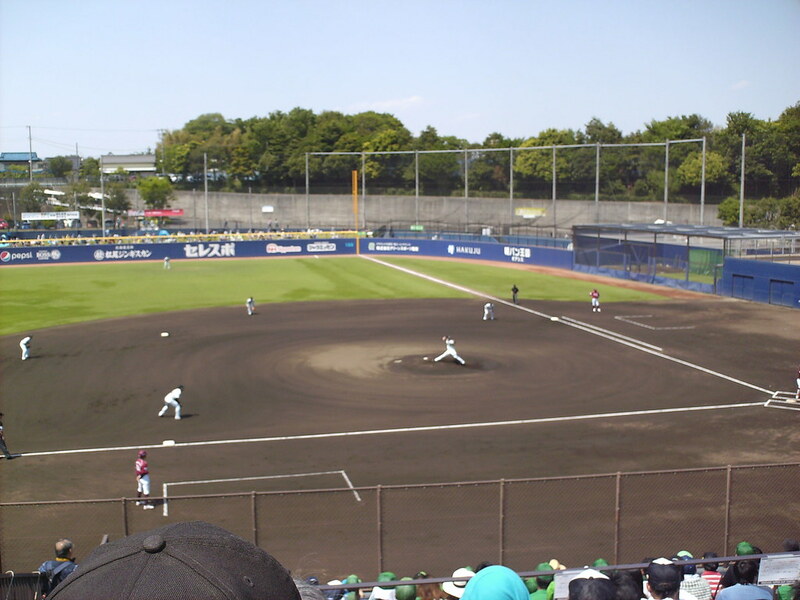 The Kamagaya Fighters on the field during an NPB minor league game at Fighters Stadium.